Larnell Cole scored all three goals in Man United’s win. 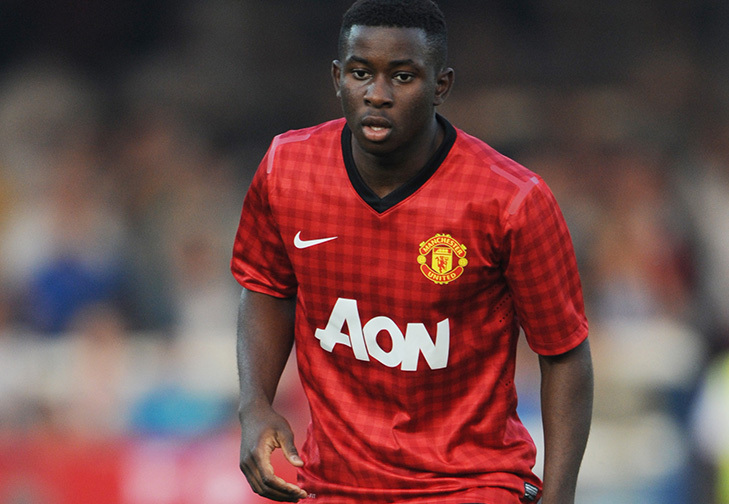 A Larnell Cole hat-trick fired Manchester United into the Barclays Under 21 Premier League final after they thrashed Liverpool 3-0 last night. His triple included two penalties and a second half thumper to set United up with a final tie against Tottenham Hotspur on Monday. Tom Lawrence was fouled by Stephen Sama for the first opening of the game which resulted in the opportunity for United to take the lead through Cole from the spot. Jon Flanagan conceded the next penalty as Lawrence was fouled again. As before, Cole stepped up to net past Daniel Ward. Adnan Januzaj’s corner fell to Cole on the edge of the box for him to fire in a third just after the break and secure the victory. Clubs like Spurs, Man U, Liverpool, Chelsea invest millions of £ each year in their academy and the least the FA should do is ensure that the Academy matches are refereed by half competent officials.